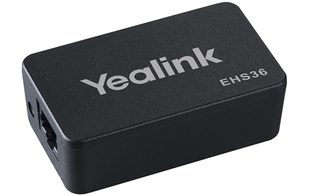 The advanced Yealink Wireless Headset Adapter EHS36 provides the technical interface between your Yealink T26PN, T27PN, T28PN, T38GN, T41PN, T42GN, T46GN, or T48GN telephone and a compatible wireless headset. 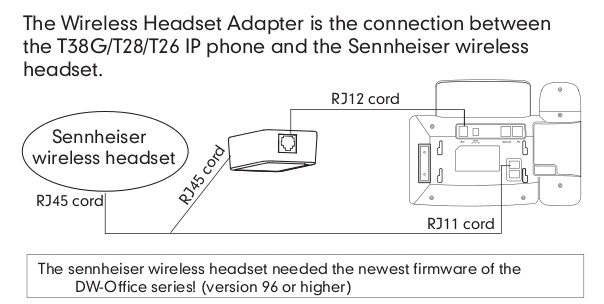 It is approved for use with major manufactures Plantronics and Jabra (GN Netcom) wireless models. 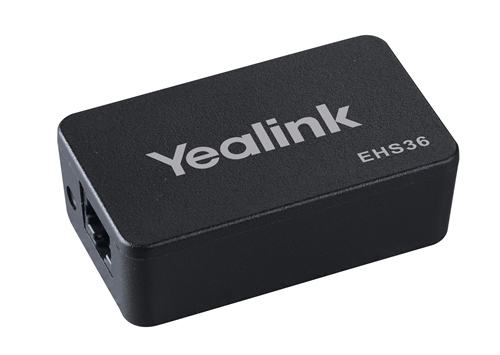 The unit is easy to install, simply link the EHS36 to the EXT port of the device, effectively 'plug and play'; giving you control of your Yealink phone and the ability to answer and hang up calls remotely. The EHS36 has been specifically designed to maximise productivity in business applications such as receptions, call centres and general telephone use and is ideal for the Corporate, Financial, Health, Government, Educational, Industrial, and SME/SoHo market sectors. Connects to T26PN, T27PN, T28PN, T29GN, T38GN, T41PN, T42GN, T46GN and T48GN.